Magento Synchronization with DataLab PANTHEON enables automatic synchronization among the aforementioned. This means that products, orders, supplies etc., automatically refreshing in DataLab PANTHEON when you change them into Magento. The price list is valid from 1st March 2019. DataLab PANTHEON Synchronization with Magento enables automatic synchronization among the aforementioned. This means that products, orders, supplies etc., automatically refreshing in Magento when you change them into DataLab PANTHEON. The price list is valid from 1st March 2019. Magento PayWiser allows your online store to receive card payments and payments made via mobile devices. The price list is valid from 1st March 2019. The Magento Moneta payment module allows your online store to receive payments via mobile devices. The price list is valid from 1st March 2019. A comprehensive translation for Slovenian language for the online store and the administration system. The price list is valid from 1st March 2019. Magento Activa 3D is a payment module that allows to receive card payments in the online store. The installation is very simple. The price list is valid from 1st March 2019. 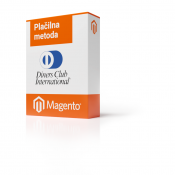 Using the Magento 1 module – Shipping method Pošta Slovenije you can include the shipping methods of Pošta Slovenija to your online store, which means that the products are delivered to your customers by Pošta Slovenije (only in Slovenia). The price list is valid from 1st March 2019. 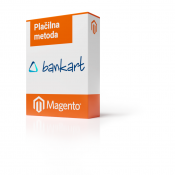 Using the Magento 2 module – Shipping method Pošta Slovenije you can include the shipping methods of Pošta Slovenija to your online store, which means that the products are delivered to your customers by Pošta Slovenije (only in Slovenia). The price list is valid from 1st March 2019. By using the Magento Shipping Method GLS extension, you can include GLS shipping methods in your online store, which means that your products are delivered to your customers by GLS. The price list is valid from 1st March 2019.